Architectural Digest, Sundance, Ballard Designs, Pottery Barn etc. Bring the warmth of natural wood into your home. Hacienda Rustica furniture timeless worldwide! 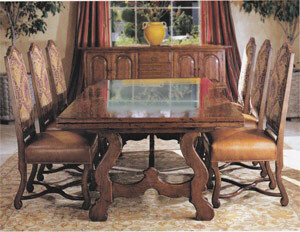 all our Hacienda furniture is made with natural wood . fine furniture by Hacienda Rustica manufacturing Mexico's finest since 1946.
and how easy it is to order the furniture that you want, a picture from the we will help a lot. it starts with a description of you you have in mind, We will follow up with a sketch with dimensions and colors sort of a Photoshop compilation this will give you a realistic visual of your project. each order is made on demand we do not contribute to the forest destruction of Michoacán, Chihuahua, Durango etc. our wood source is in U.S. / Canada where sugar pine is within cut/grow U.S./Canada standards, dried enough to avoid zap or crack as ponderosa pine might.